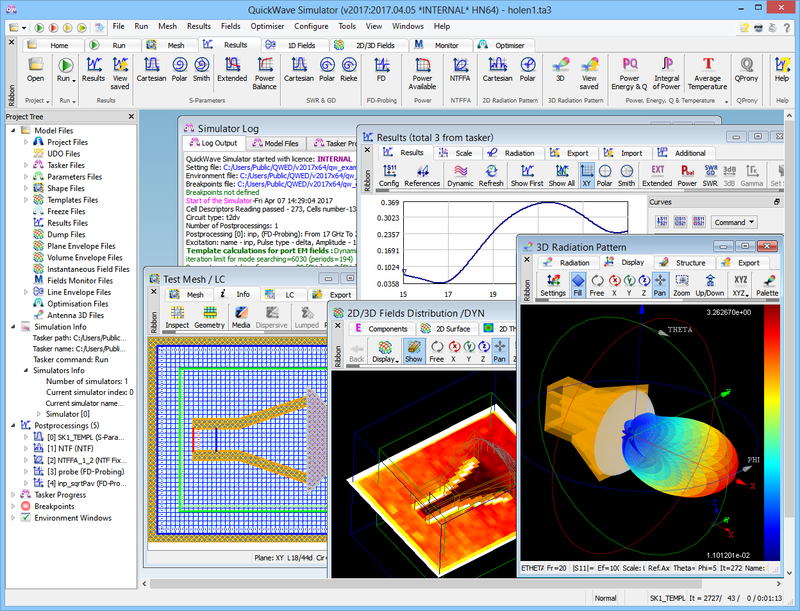 QuickWave Simulator (QW-Simulator) is the conformal FDTD simulation engine and conducts the FDTD calculations, extracts the desired frequency-domain parameters, displays all the computed fields and results, and allows saving them on disk. 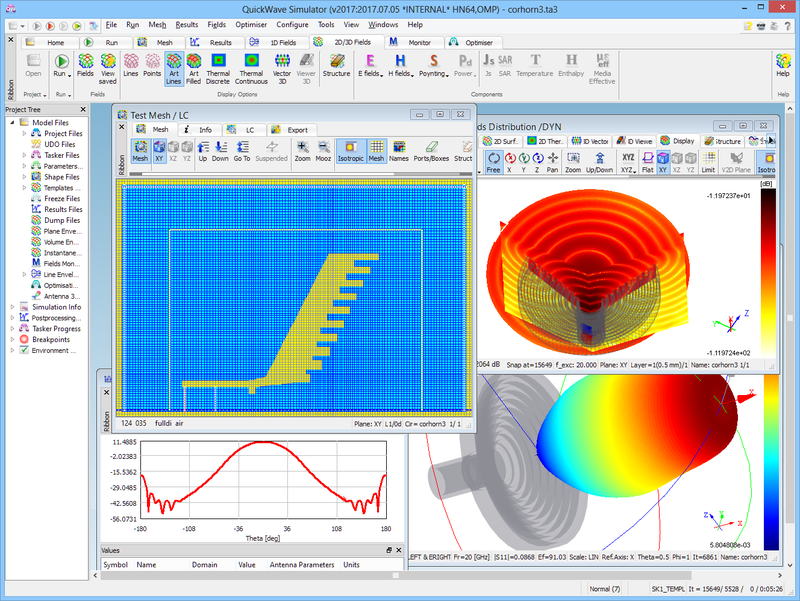 QW-Simulator utilises state-of-the-art FDTD algorithms as well as many original models and procedures developed by the authors of the program during nearly two decades of intensive research on the time-domain electromagnetic modelling. These specialised features are well represented by the publications. 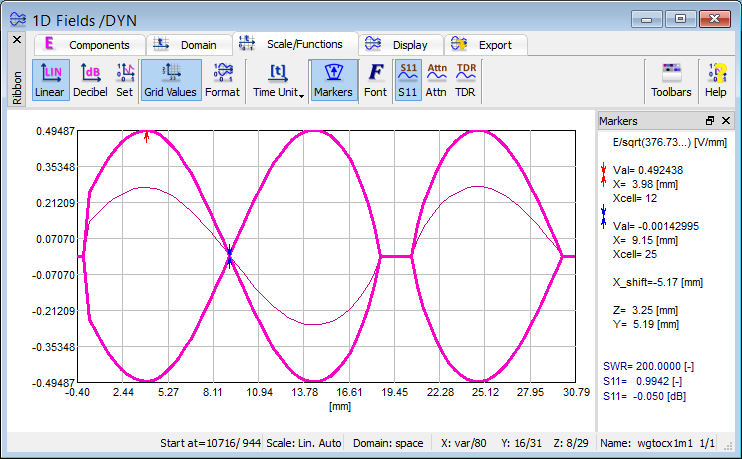 QW-Simulator also offers many ways of visualisation of simulated fields and calculated circuit characteristics. The user can open arbitrary number of windows for display of field components, dissipated power, Poynting vector etc. 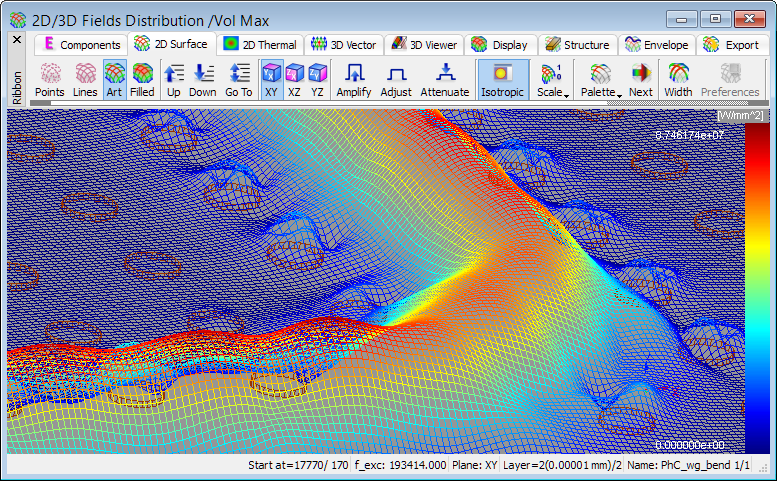 (in various graphical display systems and at any simulation stage). 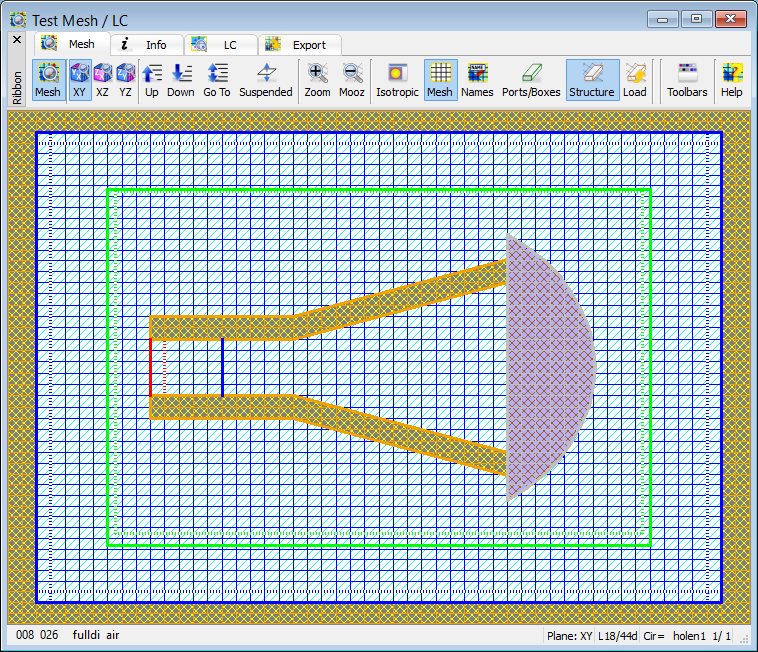 The decisions about the number and type of the windows showing valued deliverable form of the instantaneous filed components do not need to be taken prior to launching the simulation. The co-processings data are available (for viewing, storing, etc.) at any simulation stage. 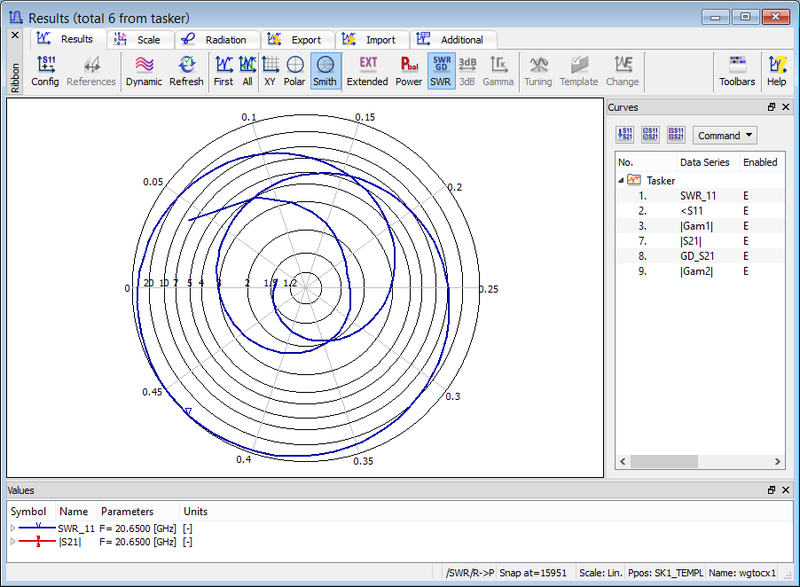 The tasks requiring calculation of the Fourier transformation of fields (S-parameters, radiation patterns or field distribution of a particular frequency extracted from pulse excitations) an apriori knowledge about the data to be accumulated during simulations is required (user chooses data that should be calculated before running the simulation). 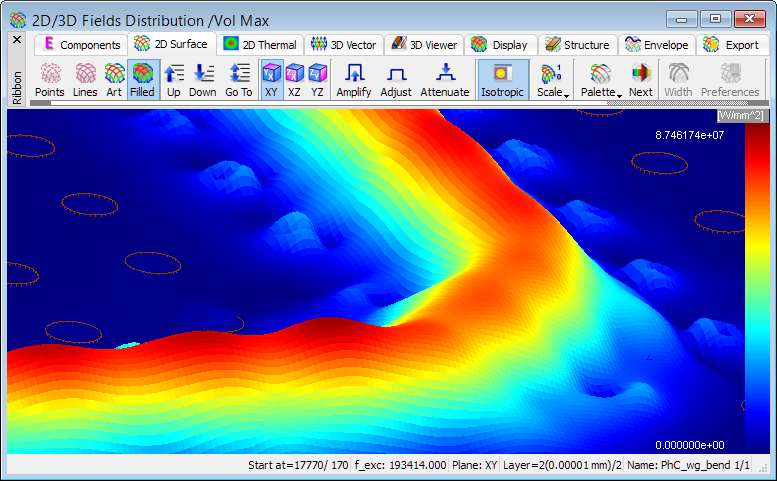 All the post-processing data can be viewed, stored, etc., at any simulation stage. See also online documentation about post-processings results. 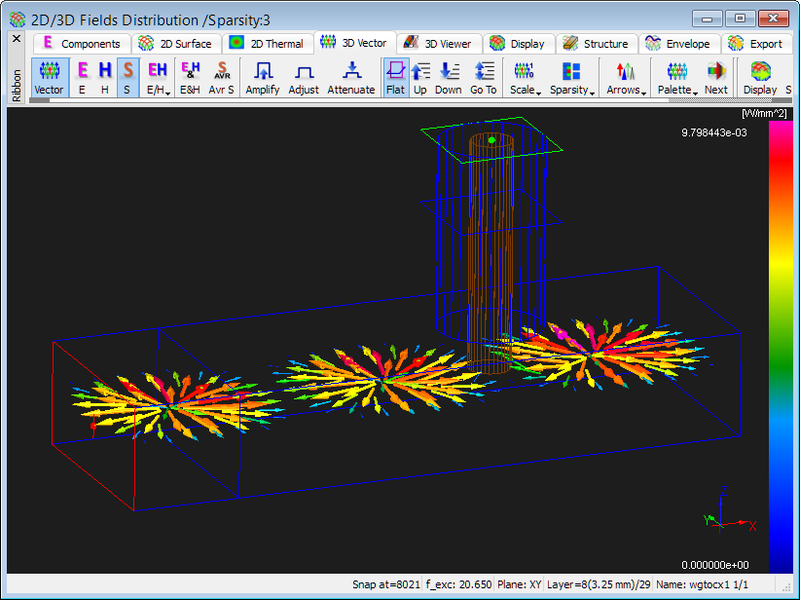 See also online documentation about 1D fields distribution. 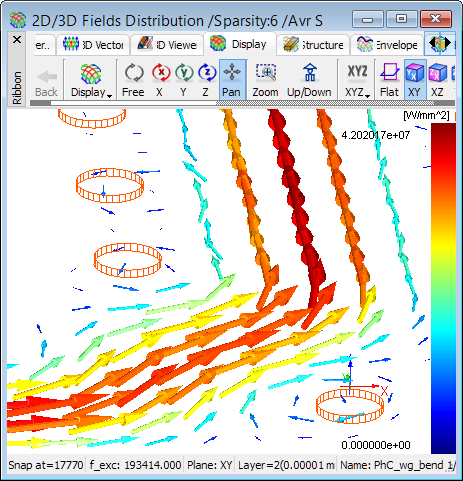 The 2D/3D Fields Distribution window allows dynamic monitoring of field distributions during time-domain simulations with any kind of excitation. 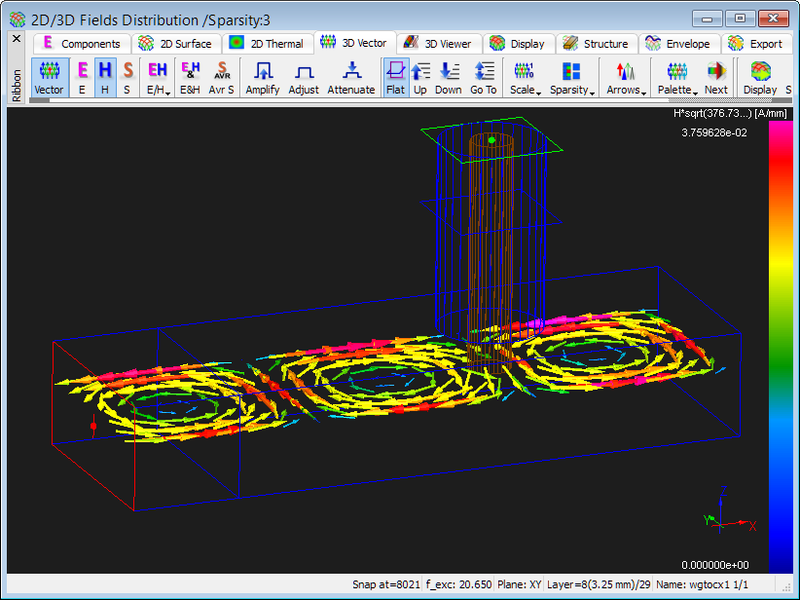 For such monitoring no special arrangements are needed before launching the simulation. 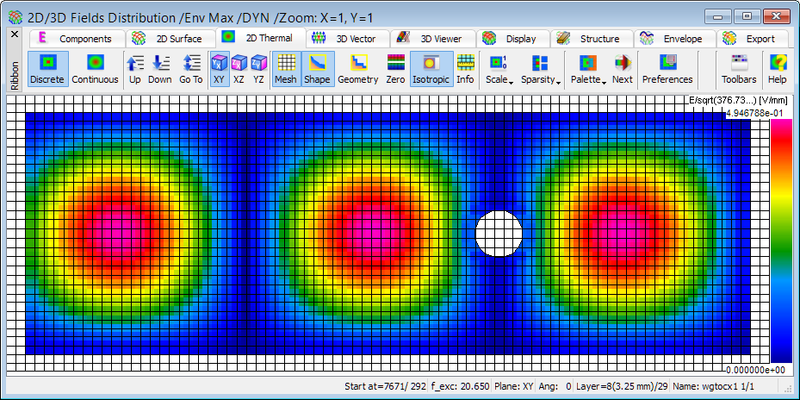 The user can decide at any time of the simulation: which fields are of interest, what kind of displays he prefers, and how many windows he wants to open. 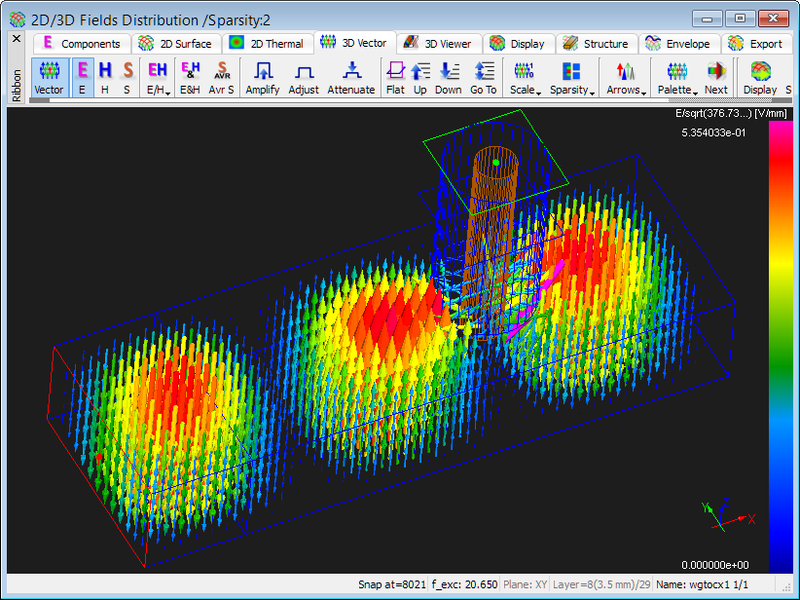 See also online documentation about 2D/3D fields distribution. 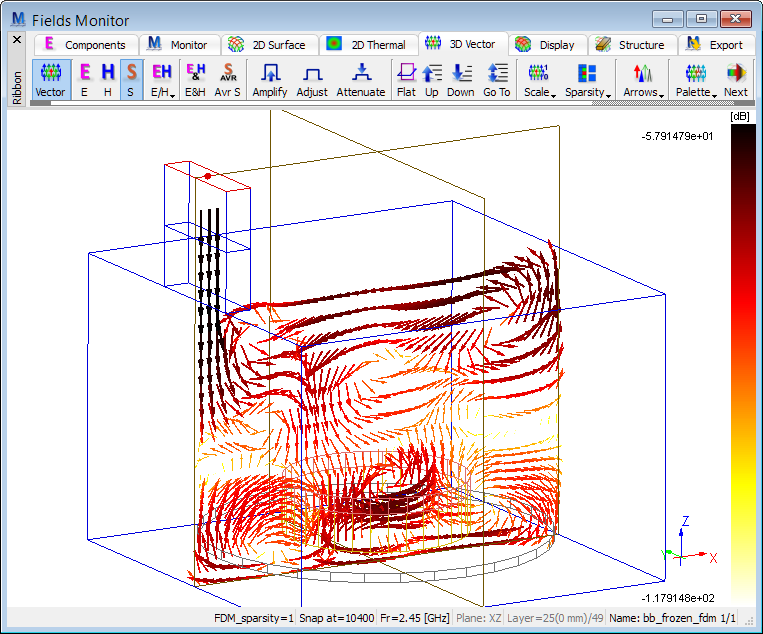 The Fields Monitor window allows dynamic monitoring of field distributions at selected frequencies from data extracted by Fourier transforming of the results of simulation obtained with pulse excitation. 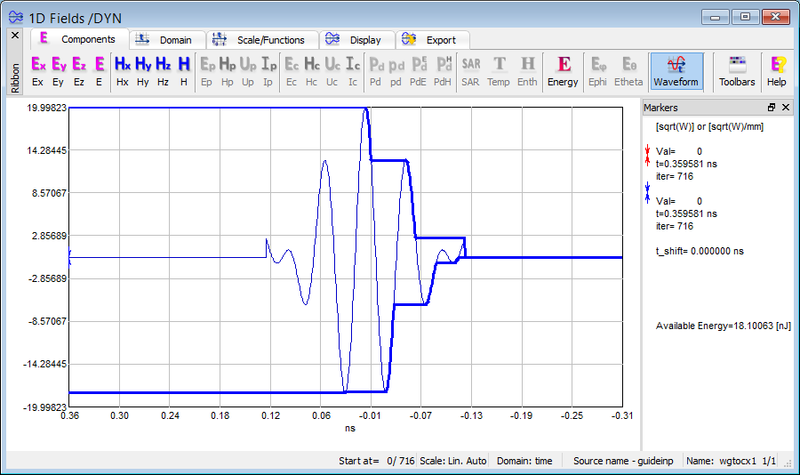 See also online documentation about fields monitor results. The 3D Radiation Pattern window allows watching 3D radiation pattern results in a spherical coordinate system with one Reference Axis (X, Y or Z), two angles: elevation (Theta) and azimuthal (Phi) and for chosen NTF Frequency. 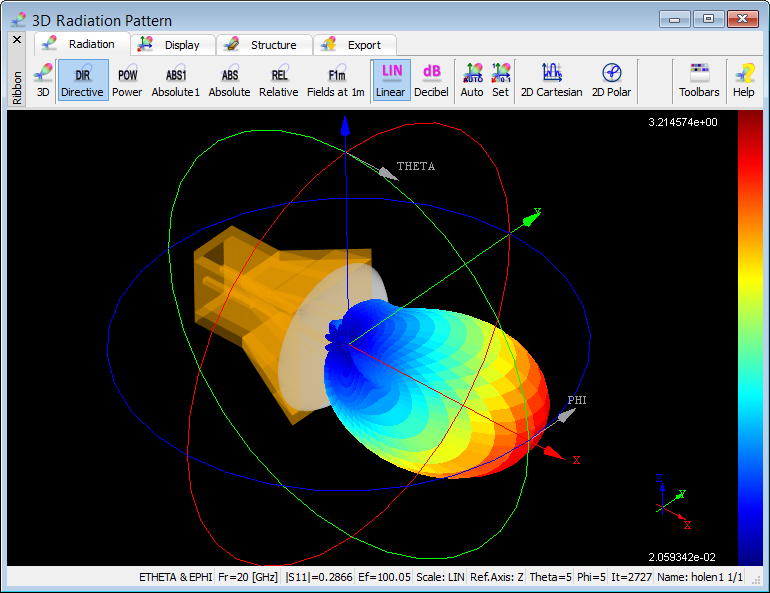 The 3D radiation pattern may be constructed to show magnitudes of only Etheta or only Ephi or a vectorial sum of both, or only Eleft or only Eright or a vectorial sum of both. 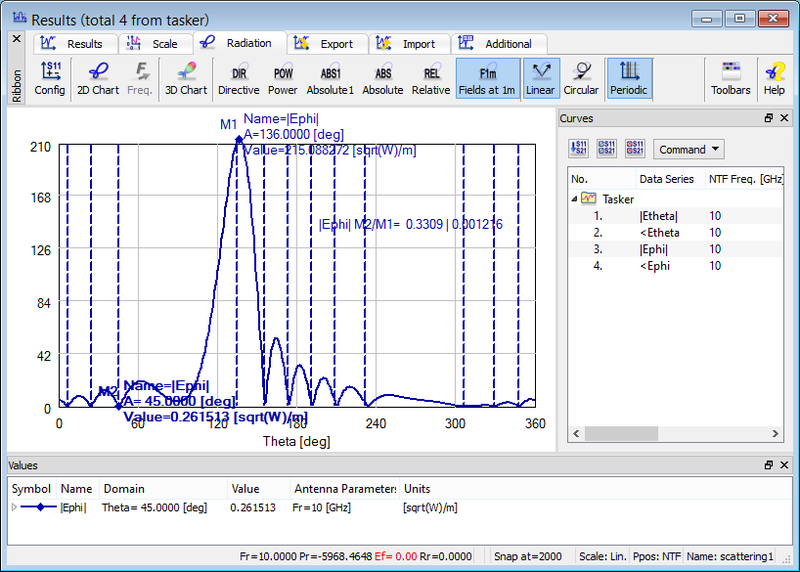 See also online documentation about 3D radiation pattern results. 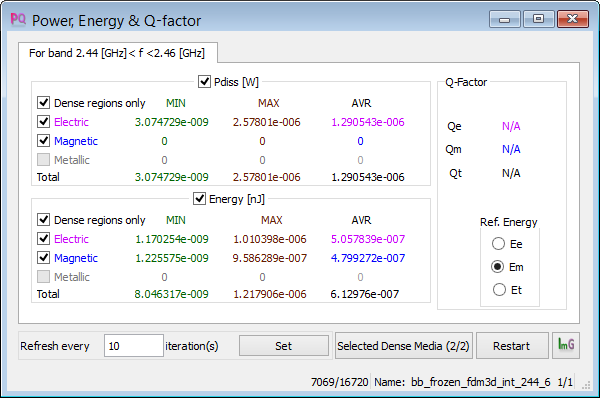 Power, Energy & Q-factor window presents the results of dissipated power and stored energy, as well as Q-factors extracted from the ratio of these quantities. See also online documentation about power, energy and Q-factor results. Integral of Power Dissipated window presents the results of space and time integration of power dissipated and time integration of power available from the source. 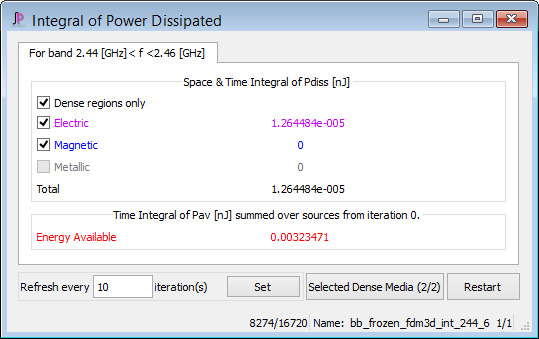 See also online documentation about integral of power dissipated results. The Average Temperature window presents the values of average temperature (in Celsius degrees) in dense media and non-dense media. 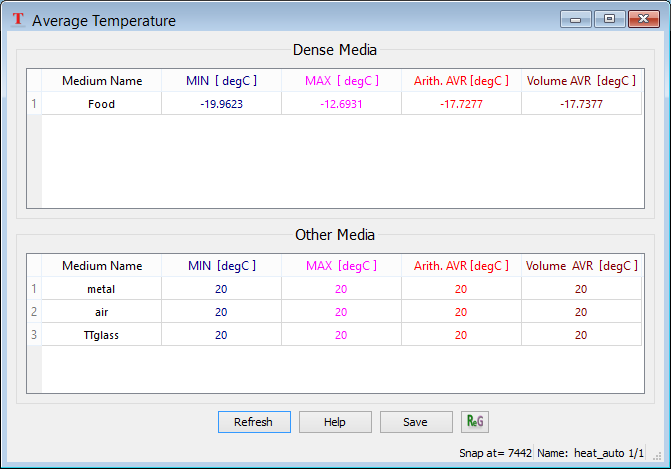 The Average Temperature window is available for viewing only if QW-Simulator works in BHM regime. See also online documentation about average temperature results. 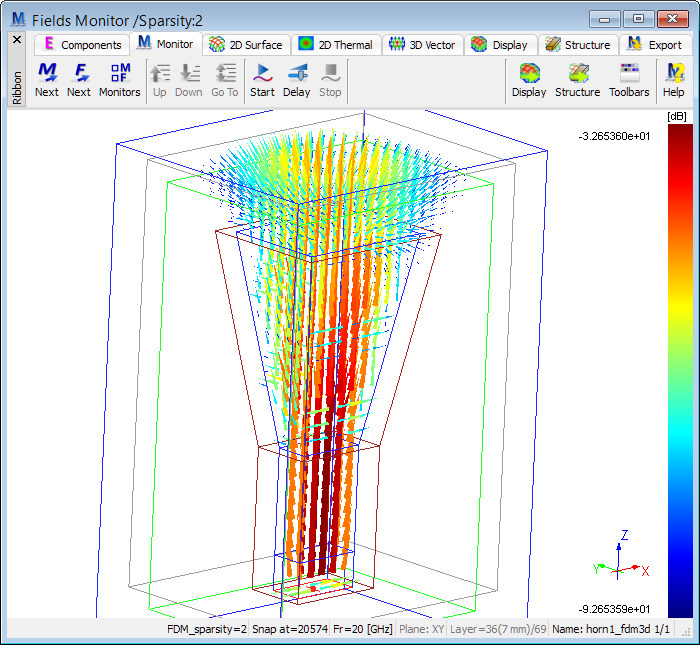 The Test Mesh window allows watching and testing the effective FDTD mesh grid and coefficients used in FDTD simulation. 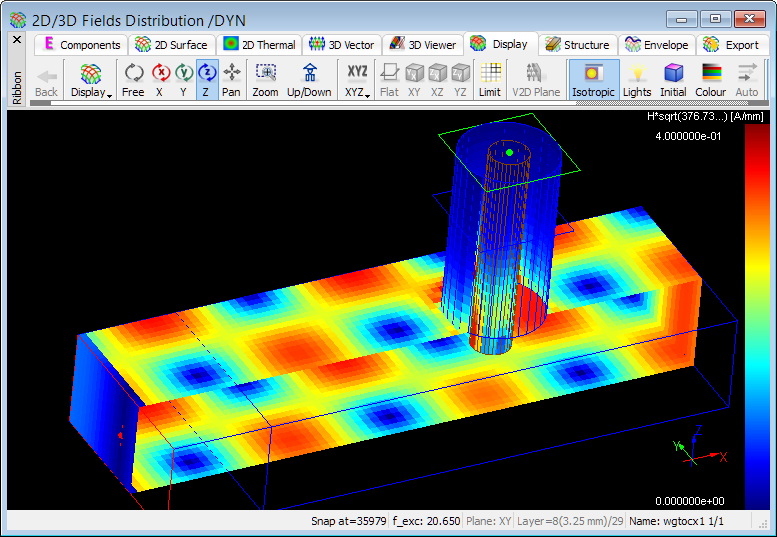 A set of testing tools allow checking the position and dimensions of different simulation objects like, e.g. transmission line ports, MUR wall/box, NTF box, etc. See also online documentation about test FDTD mesh. In standard operation QW-Simulator executes a sequence of tasks specified in the tasker (*.ta3) file. Tasker files generated by QW-Editor refer to one particular project. QW-Simulator is prepared to execute more complicated tasker files, including a variety of commands for saving results and field patterns, and possibly referring to several different projects. 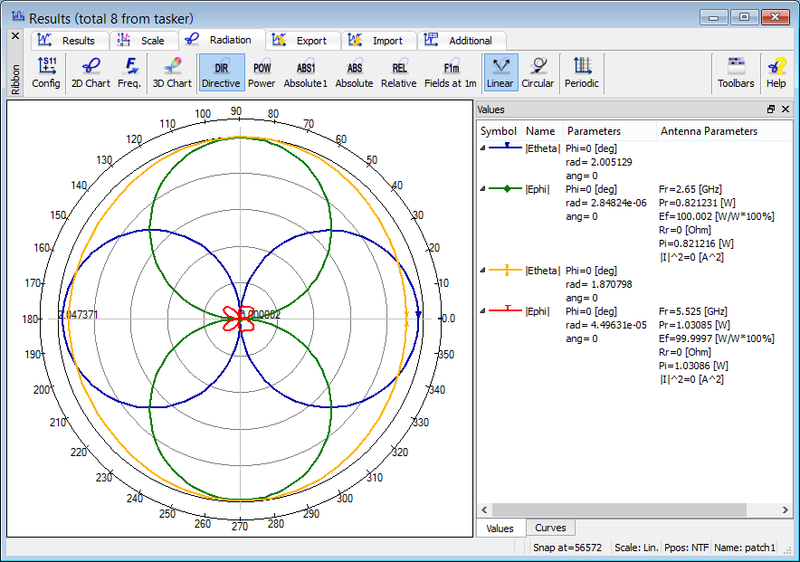 Breakpoints mechanism allows configuring tasks (breakpoints) for QW-Simulator that will be executed during simulation. The advantage of using the Breakpoints mechanism is that it ensures correct syntax of generated files and prompts the user to provide all the necessary information. 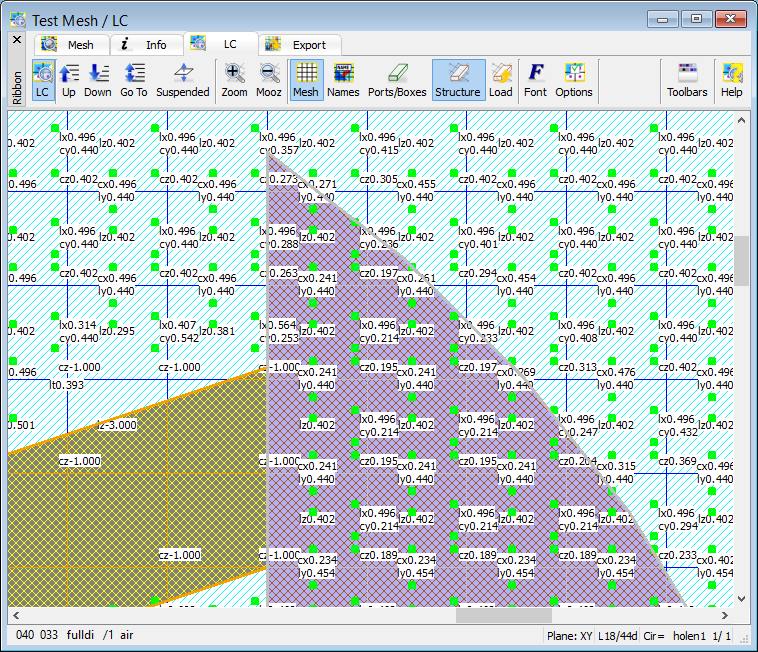 Breakpoints can be configured before Start of the simulation is invoked, or after Stop of the simulation. 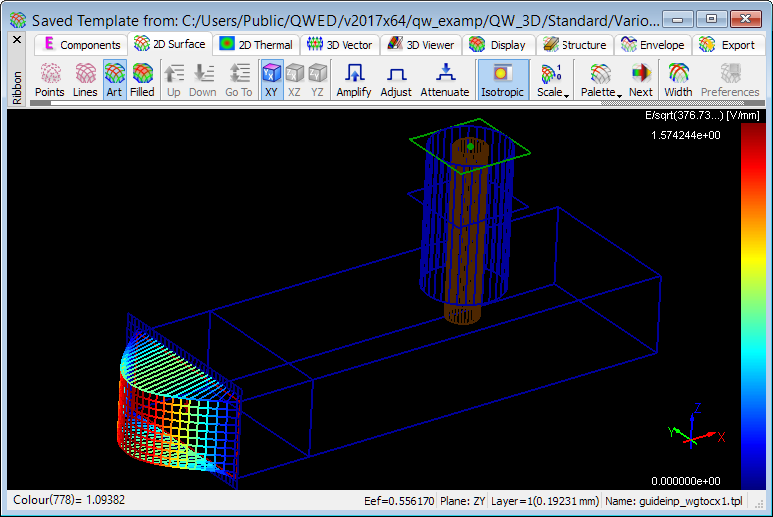 QW-Simulator has been implemented in such a way that it can run any number of internal FDTD simulators. 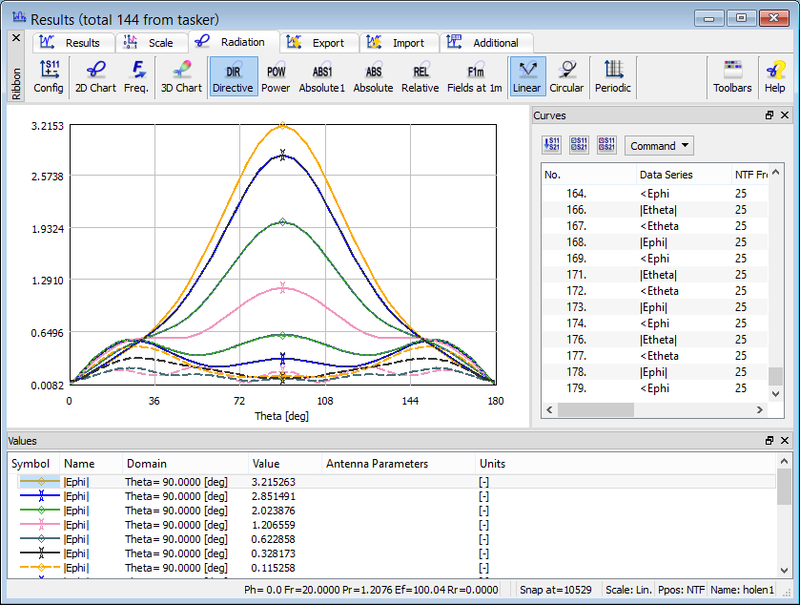 This feature proves useful for S-Parameters post-processing in multisimulator Smn regime, when several internal simulators perform the analysis concurrently, with excitation applied from different ports. See also online documentation about advanced regimes of QW-Simulator.